I never listened to a lot of Linkin Park. Don’t get me wrong, I liked some of their songs, even had multiple downloaded on my phone. I remember hearing them all the time on the radio growing up. During the teenage angst phase it seemed to be relatable. As I got older though they started to fade from my listening lineup, and therefore they were rarely on my mind. But last week hearing about their lead singer, Chester Bennington passing away, they were they were thrust back into the forefront of my mind. Because I never regularly listened to Linkin Park, I wasn’t aware of his long history of discussing his own mental illness. As I continued to be on social media, I saw more and more interviews with Chester with him discussing his personal struggles. Seeing all these things really stuck out to me. Here is a man who’s life, to the outside observer, had all the necessary ingredients for happiness: money, fame, success, and a family. I really believe that one of the most misguided beliefs out there is that with money comes happiness. This isn’t to say that financial stability isn’t the answer to a lot of problems in lives. Obviously people with a more stable financial situation are relieved of so many stressors and problems life can cause. However, what I am saying is that money isn’t the answer to guaranteed happiness. Looking at Chester, you can see that. So often even in my own life I’m confronted with the notion from others that, due to our financial situations, we as NBA players are devoid of problems. While I agree that our problems may be less and different, there are so many out there struggling in their lives. To those who have read posts I’ve written in the past, it isn’t news that I, myself, have struggled with many of the things Chester himself struggled with. Growing up I always believed that if I were blessed enough to one day be a professional basketball player, all my problems would be solved and I would finally know my place in this world, and with that knowledge, I’d overcome all the mental struggles I had faced my whole life. I feel like I can say with a certain degree of certainty that many of you reading this, regardless of your current profession, can relate to what I’m saying. It’s human nature to believe that all it takes is one specific change in our lives and all our problems will be solved. Now, being in the position that I’m in, I can say this isn’t true in any way. For those out there with depression, there isn’t a simple answer. It’s terrible that a life has to be lost for discussions like this to be had. 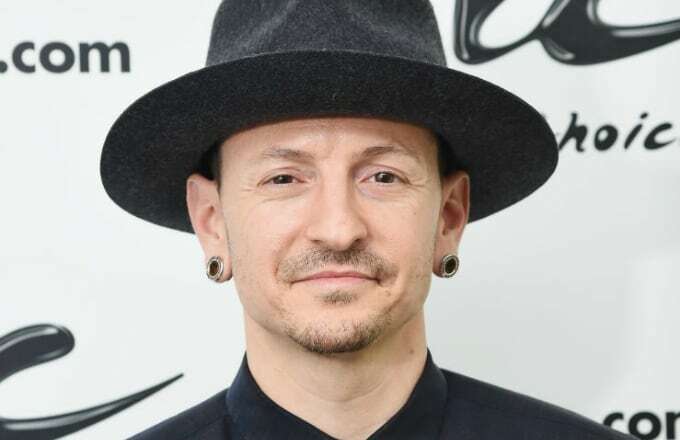 Although I never knew Chester personally, I can imagine that he would want his death to be used as a way to bring depression to the forefront of the people’s minds. All I can hope though is that we can all see that for every Chester, there are millions of others out there silently suffering as well. Reach out to people. Be an ally to others you feel may be struggling. And if you are one of those with depression, know you’re not alone.